I'm showing you all 24 of my favorite pairs of shoes from my collection this month in celebration of turning 24 years old. (I'm also giving away Sole Society shoes this month! Check out the giveaways here.). I would have loved to style an outfit for pair #22, but, unfortunately, I am sick and am in isolation to avoid getting others sick too. 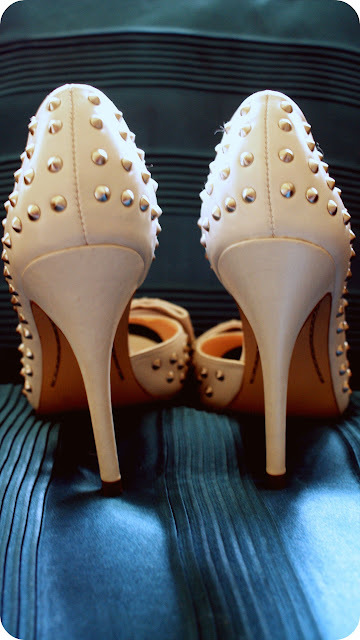 Favorite shoes #22 is Daraye by Boutique 9 . Like almost every shoe I own, Daraye has its own bargain tale. These shoes have an MSRP of $170, but I got them for about $75. I just love how they are very feminine yet tough. They're just gorgeous! Definitely a shoe that I will never let go of. Since these shoes do not have a platform, I use the Target brand, Fab Feet ball-of-foot cushions (featured in this post) to add some support. These are my favorite cushions + they are so cute! Check out my other 21 favorite pairs of shoes here.